Hope you are doing good and enjoying the ling Holi weekend. Talking of Holi, did you play color and if you did, are you all painted and thinking of how to remove Holi colors !! 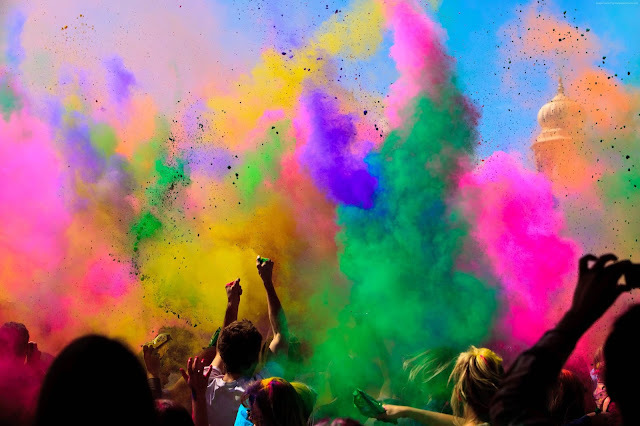 Well, here are are easy home remedies to remove Holi Colors. 1) Apply curd and gram flour past on skin, use it as scrub and wash off. 2) Use shampoo in place of soap. 3) Use cold water in place of hot water. 4) Use a paste of methi and curd. 5) Wash you face with raw milk. As wekend is about to get over, we need to get back into work mode so removing all that holi color. These simple home remedies to remove holi color will make your life easy , remove all that holi color easily and leave skin soft. Wow! I need to forward this to some of my friends :) Thanks for sharing! I'm going to a Color Run where colors like this are going to be everywhere, so I'm going to need to get it off somehow! Thanks for the tip!